FBN’s Neil Cavuto on the media’s different reaction to Gov. 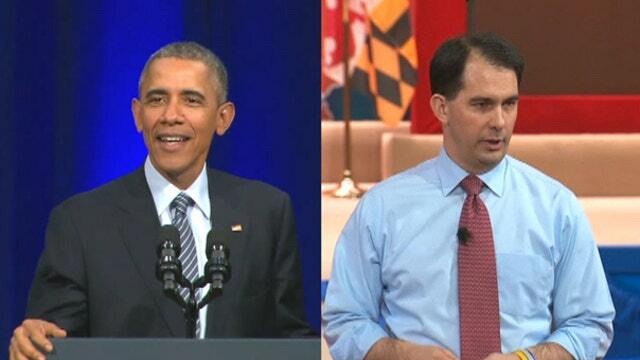 Scott Walker, (R-Wis.), and President Obama changing their minds. Great, Scott... Scott changed his mind! Wisconsin Gov. Scott Walker changes his views on amnesty, and now the media&apos;s piling on. But when President Obama changes "his" mind on executive orders "granting" amnesty, the media just moves on. Come on! Not fair. Not balanced. Not right. My friends, this isn&apos;t about taking sides. It is about showing a clear double standard when it comes to covering candidates, and showing your true side. Walker&apos;s “inconsistent” because he says his views have "evolved," but the president&apos;s not inconsistent, even though lots of his views have apparently evolved. Remember the "you can keep your doctor thing"? Or, how he was “going to get to the bottom of this IRS targeting conservatives thing”? Or that executive order thing? That it was awful when President Bush signed them, but it’s just business as usual now that Obama’s the one signing them. Look, it&apos;s only human to change our minds, but the media blasting only Republicans for doing so proves "they&apos;re" the ones out of their minds. You can&apos;t pick and choose your inconsistencies any more than you can pick and choose your facts. That&apos;s not to say one or the other side is right. But only harping on one side is wrong. You&apos;d think by now the media would catch itself in its own hypocrisy, because, after all, there is this thing called digital tape. We can always re-wind it and go back, and hear exactly what any and all politicians said and why. You just can&apos;t rewind some tapes, and not others. Because that&apos;s what frustrates Americans with these tapes. They know whose buttons you&apos;re pushing. And after a while, they just can&apos;t "tape it" anymore.